How do you respond to prospect questions? The most effective type of response isn’t an immediate one. 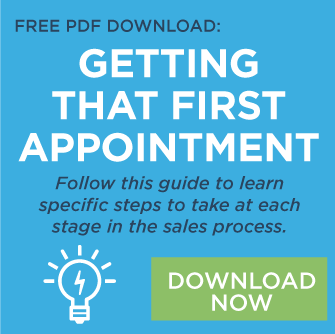 Implement this technique, and you’ll stand out from your selling competition. Social media advertising can be overwhelming. But if you have these five foundations in place, you can produce powerful social media advertising campaigns. Hovering your finger over the big red "launch" button for your new website? There may be SEO considerations you haven't accounted for yet, from a keyword-to-URL content map to sweeping for crawl errors to setting up proper tracking. This video covers five big boxes you need to check off before finally setting that site live. Facebook has repeatedly stated that, eventually, the majority of the content on their platform will be video. And evidently, that shift also extends to the presentation of their own products and Pages. This week, several users have noticed that Facebook’s testing out video cover images on some Pages. Check out the details. If you’re too quick to react, you can end up with short-sighted decisions or superficial solutions, neglecting underlying causes and creating collateral damage in the process. But if you’re too deliberative and slow to respond, you can miss an opportunity. To balance these two extremes, you need reflective urgency—the ability to bring conscious, rapid reflection to the priorities of the moment—to align your best thinking with the swiftest course of action. Learn more. How Do You Tantalize a Prospect?